The third secret to a great suit is what makes a custom tailored suit worth the investment – it’s the details. 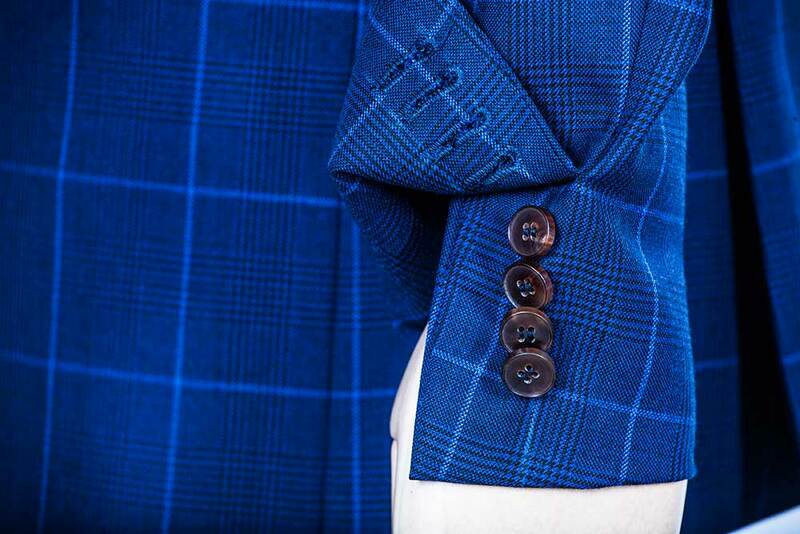 The bespoke details that bring your personal touch to the clothes we design and craft exclusively for you. We can point them out and build them in. At Miguel's, they’re a given! From pocket flaps, pleats, and peaked lapels, to Surgeon’s Cuffs with real functioning sleeve buttons, to brace buttons, belt loops, and trouser cuffs, it's your choice that makes your clothes uniquely your own and contributes to the Miguel's. Experience.